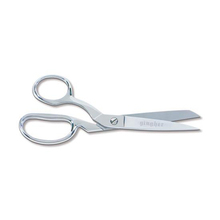 Featuring a cutting tip for use on leather, heavy (non-woven) synthetics, and rubberised materials. 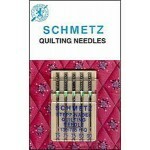 Of course the thicker the needle, the thicker the material it can go through. 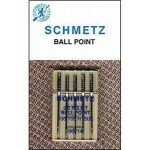 With a tip which sort of resembles a sword the Schmetz Leather Needle are used on leather, heavy non-woven synthetics, and rubberised materials. 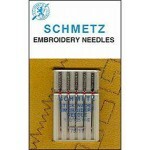 The needle cuts the material instead of pushing through. 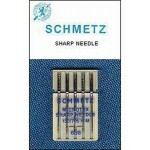 This gives relief to the pierce point which reduces skipped stitches.